Are you wondering what it is? Are you sitting there thinking to yourself “not booking the right hotel” or “visiting to the wrong city”? Well, it’s none of those. So what is it? But I’m tellin’ you, if you don’t learn even a little bit of the language before you head off to Italy, you're missing out on making your trip something extraordinary and will leave wanting more. So are you taking a trip to Italy for a couple weeks, planning to visit or moving there? Don't want to be stuck on the tour bus? Don't want to spend thousands on your trip and not get the most you possibly can out of it? Want to venture out on your own and interact with Italians? Create meaningful and lasting experiences with the locals? Most people miss out on this, and I don’t want you to be one of them! WHAT'S THE SECRET TO LEARNING? Well, there's more to it than that. I developed a process that I call The Repetition Method. It's a simple 5 step process that helps you quickly understand and speak Italian faster than ever! In this course, you have everything mapped out for you so all you have to do is follow the steps. You won't spend endless hours every day struggling to learn, only to get nowhere. You won't waste time trying things that don't work. You won't search endlessly for material since the course has everything you need. I've done all the hard work for you. All you have to do is put in a little time each day and the course and method take care of the rest! Develop the language mindset needed so you know what to expect on your language journey. Please note, this is NOT like your average phrase book. This course gives you much more than a handful of phrases that you'll forget, but instead teaches you real life travel-related conversations. There are 12 travel-related lessons total! Download the lessons to your phone if you wish to listen offline and print out the lessons. Listen to both normal and paused audio to practice speaking aloud and pronunciation. 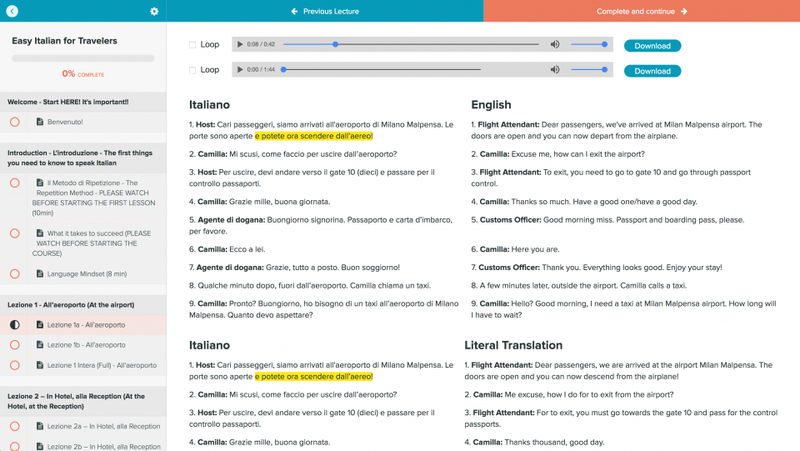 As you listen to the Italian audio, the words and phrases are highlighted so you can follow along! Audio from native Italian speakers talking exactly like you would hear when traveling around Italy. NOT slowed down or academic audio. You will hear real Italian accents like how a Roman waiter would sound! After living in Italy and interacting with the locals, I share my favorite local spots, restaurants, and things to do in Florence that only the locals know about! Links and details included for each location. 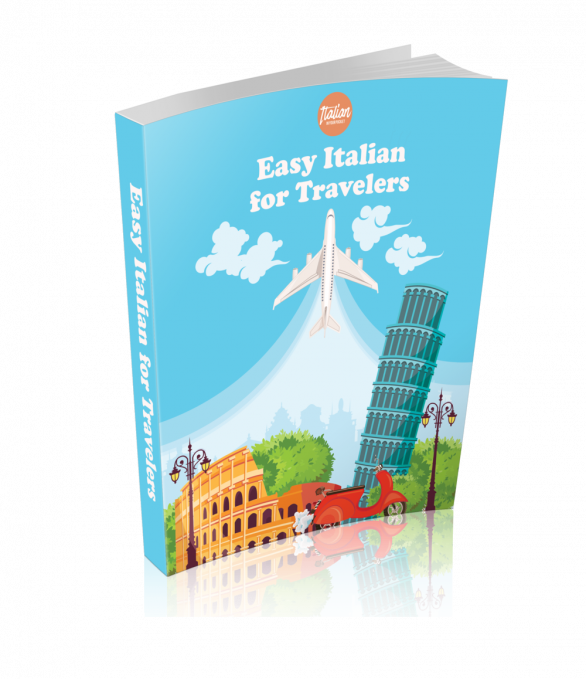 "I absolutely loved Luke's course Easy Italian for Travelers! There is a ton of information packed into to compact course that I listened to everywhere I went in the months leading up to my trip to Italy this summer. I used a lot of the phrases, even entire sentences, that I heard on the audio files in the course, especially the phrases concerning the airport and ordering at a restaurant. I like that the audios have native speakers speaking at their usual speed, because that helped me train my ear to better understand what I was hearing when Italians were speaking to me in Italy. 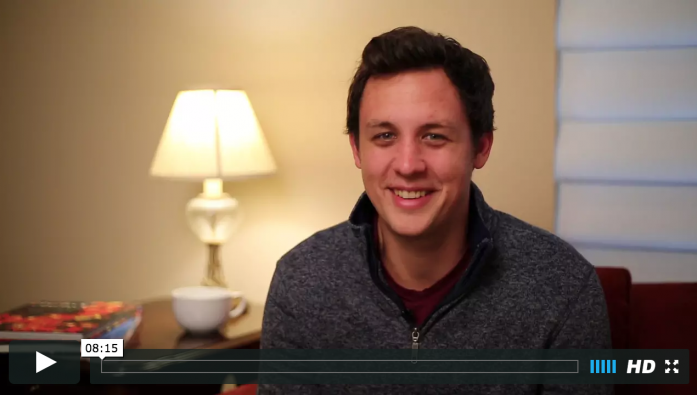 I received many compliments on how good my Italian was, and it is very much thanks to Luke's course!" SO HOW WILL YOU EXPERIENCE ITALY? 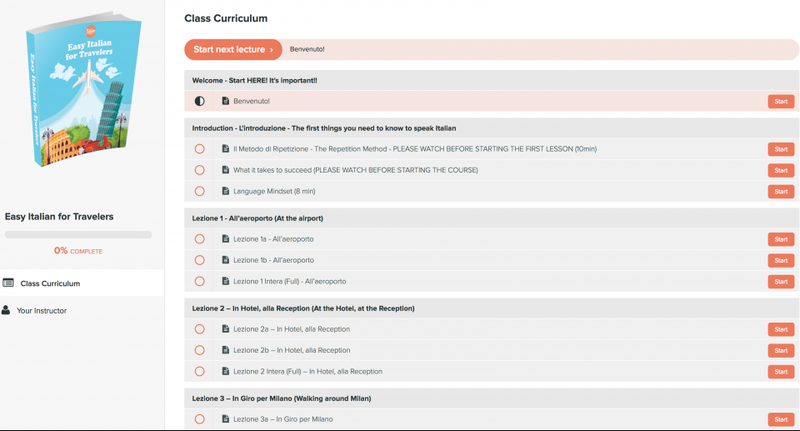 This is the perfect course to help you really understand and be able to interact with locals in any travel-related scenario while traveling through Italy. You get authentic and useful Italian conversations to listen to while implementing the Repetitive Repetition Method™ that will truly give you an amazing Italian experience! Doesn't that sound like a giant sigh of relief? You get immediate and lifetime access to the course. NOTE: This is a digital product and you do not receive any physical materials. 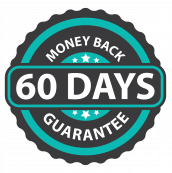 This course comes with a 60-day money back guarantee! I give you the first 30 days with a NO QUESTIONS ASKED policy and then I give you ANOTHER 30 days to keep using the course but you have to show me that you completed all the lessons and really implemented the method to recieve a refund for the last 30 days. If you go through the course and feel like you haven't learned anything and don't see any improvement in your Italian comprehension and skills, then please ask for a refund. But make sure you used the Repetitive Repetition Method to get full use out of the course! HOW MUCH TIME WILL I NEED TO SPEND EVERY DAY? 30-60 minutes a day to see the best results. If you do less and miss multiple days in a row, it will take longer.